Too much music and too little time. What a great problem to have each week on The High Note, and today Friday, Sept. 16 is no different. Each of the albums reviewed this week are from artists that have proven in the past how they can offer a unique voice for modern music. When I start planning the blog each week, I begin with a long list of albums, but I’ve been looking forward to these four albums in particular for a few weeks. So, I’m going to try something new and put the B-sides at the bottom of this blog for the albums that I didn’t get to really dig into. It’s not because they’re not awesome, it’s just because I didn’t get to them this week. California-based folk-rock band Dawes drops the smooth style for a more straight-ahead classic rock ’n’ roll feel on its fifth album “We’re All Gonna Die,” released Friday, Sept. 16. Placed next to the band’s 2009 debut “North Hills,” Dawes has expanded on its folky dynamic and created a new sound for “We’re All Gonna Die.” Drawing from its best songwriting elements, the 10 new tracks could not be different than anything else the band has produced. The title track for example, is a slow 70s soulful crooner that could have been written by Elvis Costello. The first single, “When The Tequila Runs Out,” is a fun psychedelic rock song with a Dr. Dog feel. I think the sleeper hit is “Roll With The Punches,” but I just love the song. 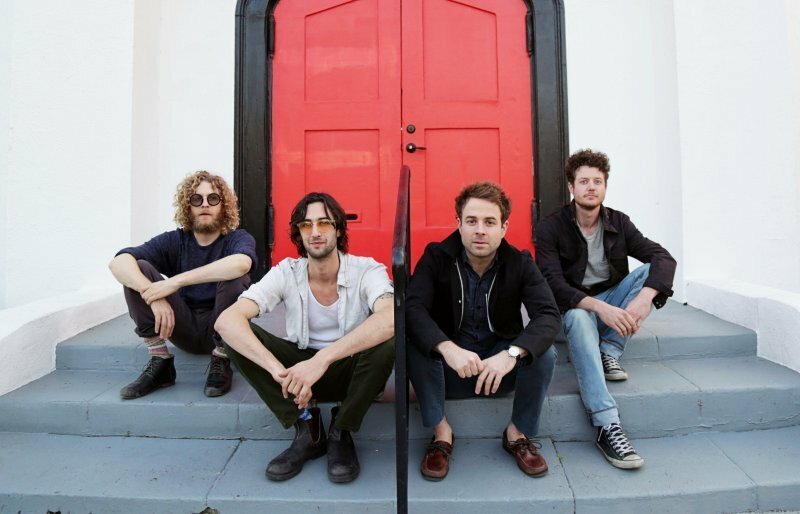 The only local Dawes show, Monday, Sept. 19 at The McKittrick Hotel in New York City is sold out, so if you have tickets or sneak in, share your photos with #TheHighNote. Get “We’re All Gonna Die” from Dawes, iTunes, Amazon, Google Play, Spotify and Tidal. Laura Jane Grace leads Against Me! into more raw, alternative-punk rock territory on its seventh album “Shape Shift With Me,” released Friday, Sept. 16. Following Grace coming out as a transgender woman and writing “Transgender Dysphoria Blues,” the band now sounds renewed and unburdened. See Against Me! Saturday, Sept. 17 at Rough Trade in Brooklyn, New York; with Bad Religion Friday, Sept. 30 at the Starland Ballroom in Sayreville, New Jersey; Saturday, Oct. 1 at The Paramount in Huntington, New York; with Bad Religion Monday, Oct. 3 and Tuesday, Oct. 4 at Irving Plaza in New York City, and with Bad Religion Wednesday, Oct. 5 at The Fillmore in Philadelphia, Pennsylvania. Get “Shape Shift With Me” from Against Me!, iTunes, Amazon, Google Play and Spotify. You can say what you will about Mac Miller, but he is a prolific and talented artist. Today, Friday, Sept. 16, Miller released his fourth full-length studio album, “The Divine Feminine,” which will be his second in two years; when you add up all the mixtapes and releases, Miller, 24, has 18 albums to his credit. Miller has clearly evolved as an artist and a songwriter. He is certainly no stranger to concept albums and seems at home writing love songs. See Mac Miller Sunday, Oct. 2 at The Meadows Music and Art Festival in Queens, New York. Get “The Divine Feminine” from iTunes, Amazon, Google Play, Spotify and Tidal. Bringing a straight-ahead rock ’n’ roll sound to its emo and punk rock roots, Taking Back Sunday has made an impact with its seventh studio album, “Tidal Wave,” released Friday, Sept. 16. From the opening track, “Death Wolf,” the band has fused the elements of its past sound into a solid, hard-hitting result. It sounds like a natural progression for the band and there is a renewed, less emotional and more weathered energy to these songs. See Taking Back Sunday – Wednesday, Sept. 28 at the Trocadero in Philadelphia, Pennsylvania; and Friday, Dec. 16 and Saturday, Dec. 17 at the Starland Ballroom in Sayreville, New Jersey. Get “Tidal Wave” from Taking Back Sunday, iTunes, Amazon, Google Play, Spotify and Tidal. Canadian electronic DJ group A Tribe Called Red released its third album “We Are The Halluci Nation,” Friday, Sept. 16. Check it out on iTunes, Amazon, Google Play, Spotify and Tidal. California-based hip-hop artist and poet Mykki Blanco released his debut full-length album “Mykki,” Friday, Sept. 16. Get it from iTunes, Amazon, Spotify and Tidal. Staind lead singer Aaron Lewis continues his solo country career with his second album, “Sinner,” released Friday, Sept. 16. It’s legit – featuring Willie Nelson on the title track and he’s getting praise for the first single “That Ain’t Country,” Get it from iTunes, Amazon, Google Play, Spotify and Tidal. I couldn’t forget the Meat Loaf. He’s back, with songwriter Jim Steinman who wrote many of Loaf’s hits, on “Braver Than We Are,” released Friday, Sept. 16. Check it out on iTunes, Amazon, Google Play and Tidal.